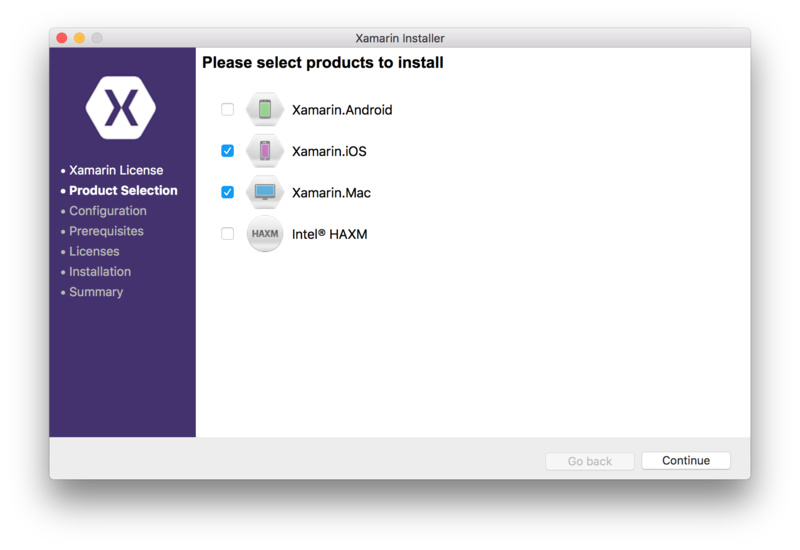 I'm trying to install Xamarin for Mac. I do not need or want and Android or Java components installed, however despite me unticking these options from the second installer page, I am asked to select a location for the Android SDK, and the Android SDK and Java SDK's are listed a pre-requisites (see screenshots). Is this a bug in the installer? Anyone know a work around? 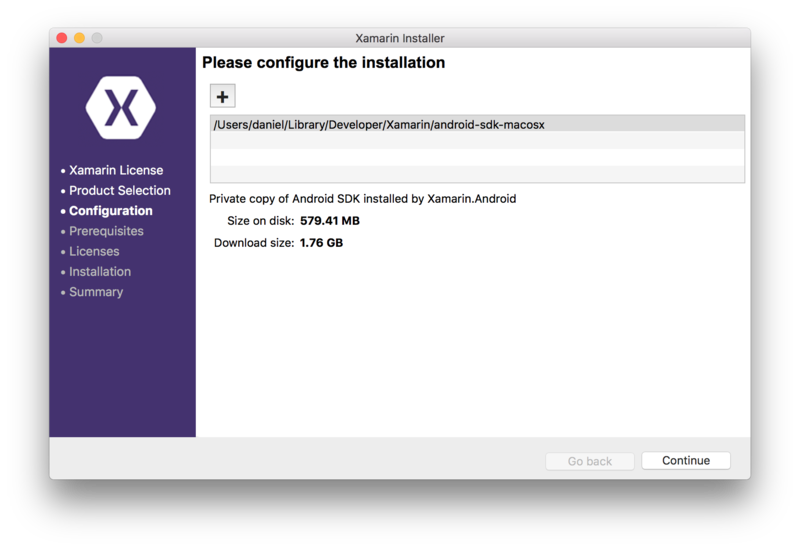 I was able to work around this by manually downloading and installing the various components at https://store.xamarin.com/account/my/subscription/downloads, as well as installing Mono from http://www.mono-project.com/download/. 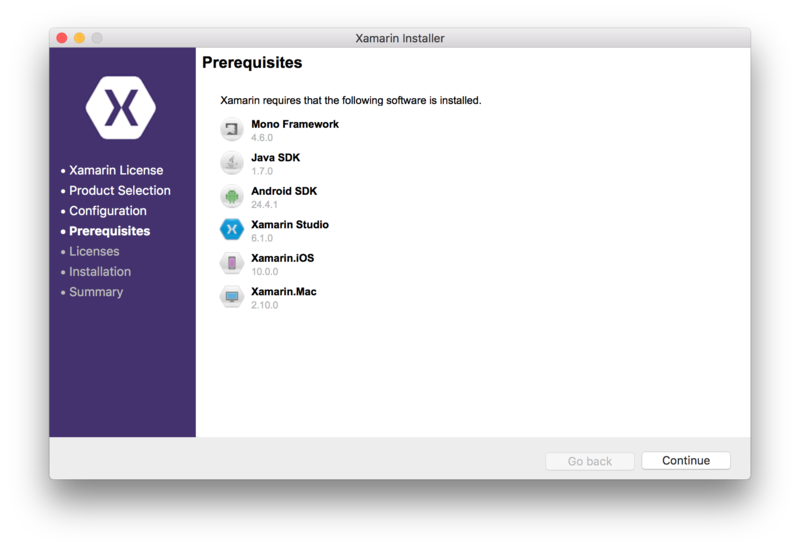 This still seems like a bug in the universal installer though; it really shouldn't try and install Java and Android if the user doesn't request those features.